Albertsson, A. M., Zhang, X., Leavenworth, J., Bi, D., Nair, S., Qiao, L., Hagberg, H., Mallard, C., Cantor, H. and Wang, X. (2014). The effect of osteopontin and osteopontin-derived peptides on preterm brain injury. 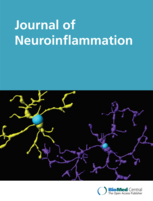 J Neuroinflammation 11: 197. Albertsson, A. M., Bi, D., Duan, L., Zhang, X., Leavenworth, J. W., Qiao, L., Zhu, C., Cardell, S., Cantor, H., Hagberg, H., Mallard, C. and Wang, X. (2014). The immune response after hypoxia-ischemia in a mouse model of preterm brain injury. J Neuroinflammation 11: 153.